Domain Portfolio Discounts - The more domains you have, the cheaper the renewal fees! 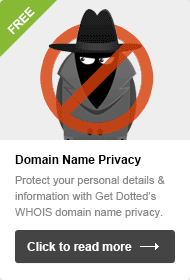 Plus, you can save on Domain Name Privacy too! Here at GetDotted.com, we like to reward our customers. So, apart from our impressive free domain hosting services with each domain (also now boasting a free One-Page Website with InstantPro), we'll also give you the chance to save money on your domain renewal fees and Domain Privacy Protection for your domains. You can save up to 20% on the price of individual domain renewals. Save 10% by opting to receive renewal reminders by text message. Save a further 10% by choosing to auto-renew your domain. It's that easy. 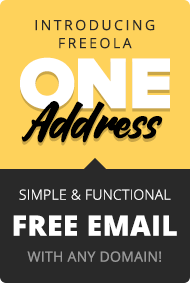 Just log into the MyFreeola Control Panel, where you'll be able to assign a mobile number to your domain(s) and set up auto-renewals, and start benefitting from discounted domain renewals today. As of 14th January 2019, the Domain Portfolio Discount scheme will be replaced. Furthermore, we will be phasing-out postal renewal reminder letters. Instead, our domain renewal prices are going down by up to 20%, with a further 20% discount available by enabling domain auto-renewals and providing a mobile phone number for essential text alerts about your domain. All domain customers can qualify for these discounts, regardless of the number of domains in your account. To get the maximum discount on your domain renewals, you will need to visit the Domain Auto-Renewal and Domain SMS Alert Settings pages in your MyFreeola account and ensure that auto-renewal is enabled for all domains, and a mobile contact number is set. Log into the MyFreeola Control Panel. Visit the 'Renewal Discount' section within MyFreeola. Your domain(s) will be listed here along with your current discount amount. Follow the on-screen instructions to set up auto-renewal, and assign a mobile number. 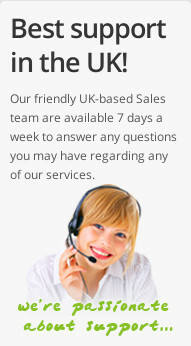 Your domain discount will be applied automatically.